I’m working on an interesting project right now: moving away from a marketing automation system. The plan is to go back to using only Salesforce.com with some cheap add-on tools for email, form submission and data quality. Smart or foolish? I’d love to have your input on the potential pitfalls (and benefits) of this approach. The company in question has used a comprehensive marketing automation system for about 2 years. In the early days it was used to sift through hundreds of new B2B leads per day to identify the valuable leads. This changed over time: now the focus has shifted to pro-active outreach to a handful of executives, instead of targeting thousands of software developers. In addition to cost savings, the thinking is that a full-blown marketing automation system just makes less sense with the new strategy. How to Replace a Marketing Automation System? My first reaction was: no way, you should not want to do without any type of marketing automation system (for simplicity sake, I use this term as synonymous to demand generation and lead management). However, when I started looking into Salesforce.com and the wide variety of add-ons, I was less convinced. The Salesforce.com database has some big issues (e.g. the split between Leads and Contacts), but many 3rd party tools are addressing these weaknesses. What is easy to replace? 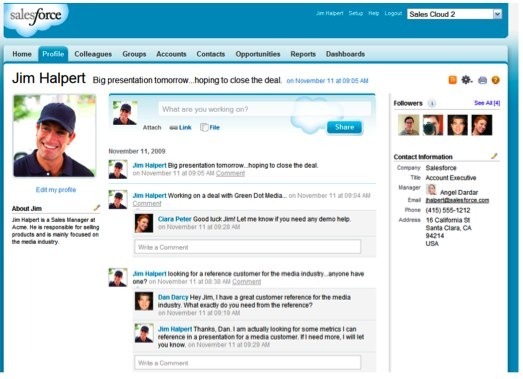 Email marketing that integrates with Salesforce.com is provided by many vendors, like VerticalResponse, Boomerang, ExactTarget, Genius, Lyris and more. There are also some relatively affordable registration form vendors, like FormAssembly and OnDialog. Basic lead scoring features are built into Salesforce.com, and data quality tools are available from vendors like Ringlead, CRM Fusion and Datatrim. Notifications of companies visiting your website are available from Leadlander, Netfactor, LEADSExplorer and DemandBase. You can create reports and dashboards in Salesforce.com to provide analytics. So there are lots of useful add-ons available at a nominal price. Some Email Service Providers can send email on behalf of the record owner or can handle drip-campaigns, but those are exceptions and you sometimes pay quite a bit more for these advanced features. Unsubscribe handling is typically done via a generic page, rather than via branded page. If you use a basic form vendor, you have to manually map the fields, and put the form on a landing page yourself. You may want to pre-fill the form, or send a thank-you email or the start of an email drip campaign: this is not always possible. Also, some form vendors are not able to append to existing records (resulting in duplicates) or to link new registrations to a Salesforce.com campaign. Lead scoring based on attributes (e.g. job title) is built into Salesforce.com, but that does not include activity-based scoring, such scoring based on website visitors, clicks on links in emails or form submissions. Even though you can get reports on anonymous visitors via stand-alone tools, it’s much more work to set up notifications of website visits by known users, and even more challenging to sync that information with Salesforce.com. Then there are specific usage scenarios that are automated in a marketing automation system, such sending a reminder to non-registrants for an event: with the new approach this needs to be done manually, which takes a lot more time. Most marketing automation systems replicate the Salesforce.com database with their own database: in the new situation everything is stored in Salesforce.com (or at least: that’s the goal). That is great for manageability, but – if you have the habit of qualifying leads before sending them to the CRM system – you now have a database full with unqualified leads. This project is still in the planning phase, so I’m still compiling a list of all the pros and cons. One thing is sure: in the new situation the monthly cost will be about $200, down from well over a thousand dollars. That is a significant savings. But how much more time will it cost to manage the new situation? Are there specific features that create revenue, but simply cannot be implemented with the new approach. What is your take on this? This entry was posted in Demand Generation, Email Marketing, Landing Pages & Forms, Lead Monitoring, Sales Force Automation and tagged boomerang, CRM Fusion, Datatrim, demandbase, ExactTarget, formassembly, genius, leadlander, LEADSExplorer, Lyris, Netfactor, ondialog, Ringlead, salesforce.com, VerticalResponse on March 22, 2009 by Jep Castelein. Sales 2.0: Also for Marketing? Coworker: [confused look] Why are you going to a sales conference? Coworker: Oh really? That’s interesting. 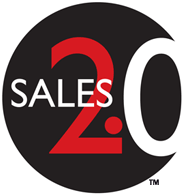 So many people still think that “Sales 2.0” is only about sales. Not surprising, as it says “sales” and does not mention marketing. The reality is different: successful implementation of Sales 2.0 requires close collaboration between sales and marketing. For example, David Solinger explained that Ariba now has precise metrics how many leads they need to close a specific amount of business. That is only possible when sales and marketing work closely together. I stopped by at Marketo‘s booth and had a nice chat with Deanna Deary (Sales) and Kelly Abner (Marketing Director) and asked them about their take. They see marketing & sales as a single revenue cycle. And with better tools (like Marketo) there is better insight in the revenue that marketing influences: so rather than seeing marketing as a cost center, it actually brings in money. Marketo’s Kelly mentioned that the first Sales 2.0 conference had a lot of “marketing bashing”. That has changed: today’s conference has a dedicated marketing session, and dozens of marketing people are attending. Tom McCleary of GroupSwim sees the same trend: “marketing and sales need to be in lockstep, and the feedback needs to be instantaneous”. GroupSwim provides online collaboration software that results in better alignment of sales & marketing teams, regardless of the location of these teams. Another trend is a change in people: I’ve seen traditional marketing VPs who do not like to be pinned down on a specific lead goals. They think it’s better to keep the goals vague, and focus on lead quantity rather than quality. Traditional Sales VPs then complain about the marketing leads and try to find ways to become self-sufficient and generate their own leads. As Sales 2.0 is changing to a collaborative model, different skills and priorities are needed. For marketing specifically, I think we need more analytical skills: people who are not focused on pretty images, but on setting up efficient processes, with metrics to support this. This analytical marketer is hard to find: I’ve been told that the best Eloqua sales rep is also placing demand-gen specialists with new Eloqua clients, to ensure that they have the skills need to make “Marketing 2.0” a success. There are books and conferences on Sales 2.0, but – even though marketing is mentioned – are primarily about sales. But for successful implementation of Sales 2.0 you need both sales and marketing, and marketing seems to be behind. How can we get more exposure for the role of marketing in Sales 2.0? This entry was posted in Demand Generation, Sales Force Automation and tagged collaboration, marketing, sales, sales 2.0 on March 4, 2009 by Jep Castelein.